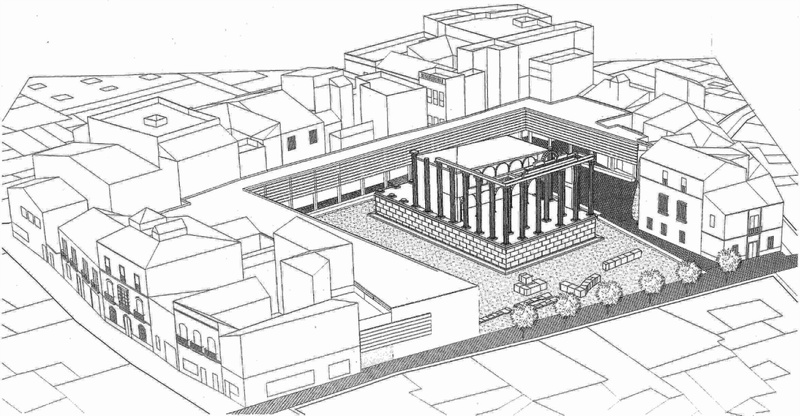 The architectural environment of the Temple of Diana before and after the execution of its Adaptation Project. 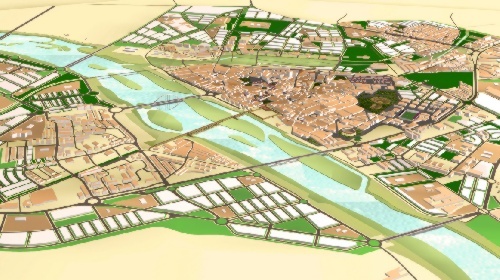 Urban integration proposal planned in the Master Plan. 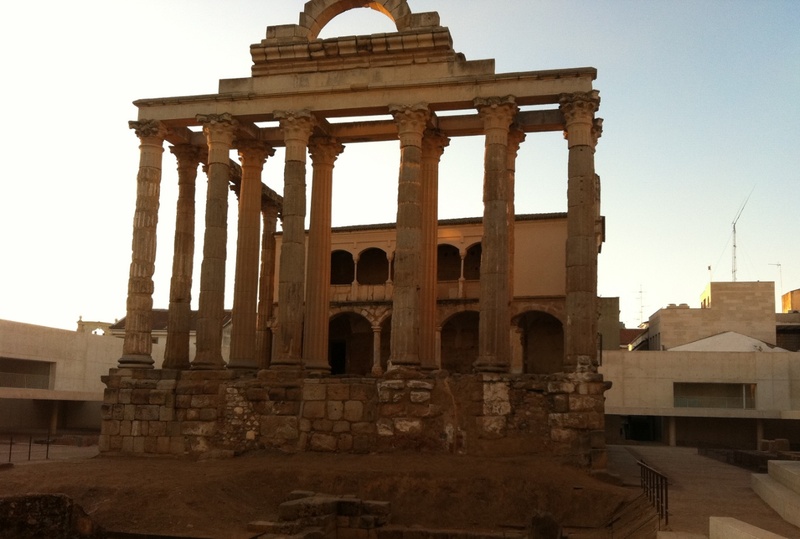 Merida is a UNESCO World Heritage Site and the administrative capital of the autonomous community of Extremadura. 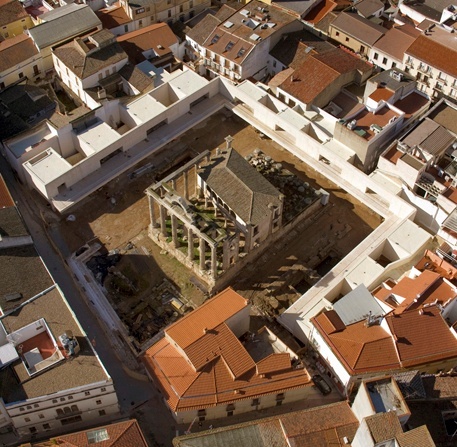 The main objectives of the plan include the promotion and integration of the archaeological constructions and elements with the surrounding urban space, nowadays degraded in certain areas. 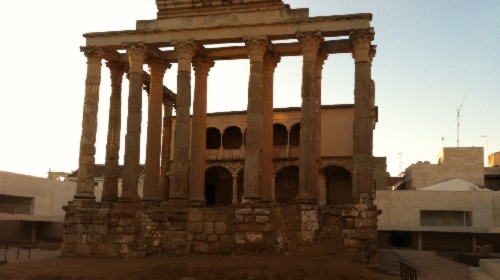 We therefore proposed an integration project for every part of the city with archaeological merit. 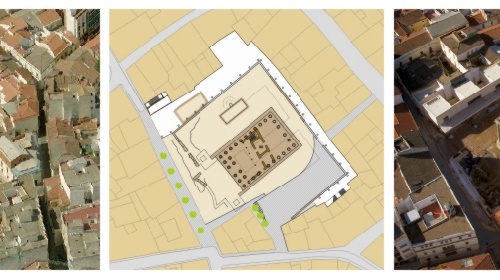 This consisted of analysing the current situation, including the existing problems and the opportunities for intervention, and then making detailed zoning recommendations to promote its value and appreciation. 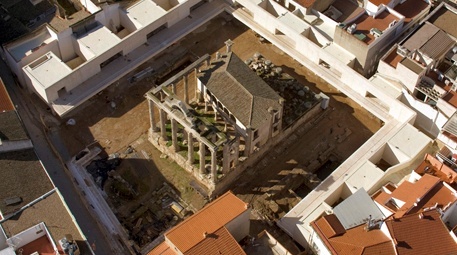 One of the principal actions undertaken was to integrate the ruins of the Temple of Diana in accordance with the conditions of the land use plan. 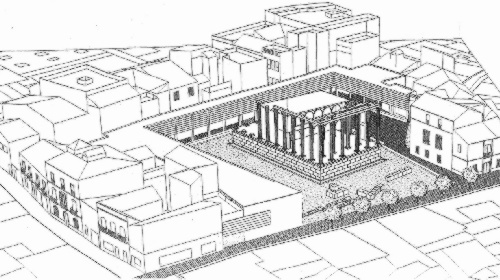 This gave rise to the launch of a project to enhance the heritage and make it more accessible to citizens while simultaneously recovering a public space for the city.